I had long looked forward to visiting the Eiteljorg Museum of American Indian and Western American Art when we visited Indianapolis last summer, but imagine my horror when our guides informed us that we had just 15 minutes to explore the two story facility on our own after we'd spent over an hour on a guided tour of one of the museum's temporary exhibitions! It's times like that make us really appreciate the advantages of traveling independently or having, in this case, tour guides willing to let us deviate from the script a bit to tour the museum on our own and re-join the rest of our group a little later in the day. Businessman, philanthropist and art collector Harrison Eiteljorg (1903-1997) founded this unique museum situated in the heart of Indianapolis and its White River State Park in 1989. 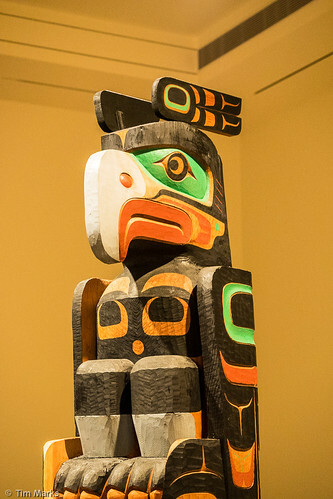 He wanted to share his extensive collection of Western American and Native contemporary and historic art and artifacts in order to foster an appreciation and understanding of the art, history and cultures of the indigenous peoples of North American and the expansion of Western American culture. 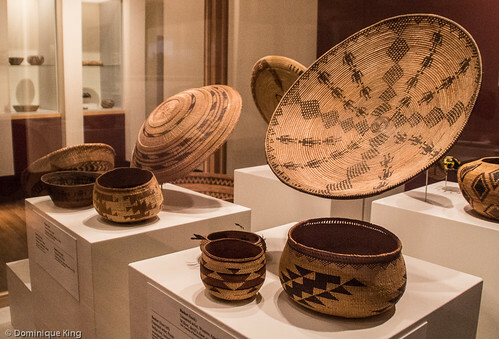 The museum has one of the most extensive collections of paintings, sculptures and other Native and Western American artifacts, and it is one of only two museums east of the Mississippi to showcase a collection of this type. The museum's permanent collection includes a good collection of Western art like paintings and bronzes by Frederic Remington and Charles Russell and lots of art by New Mexico-based artists like the two paintings by Georgia O'Keefe up on the second floor that were on the list of not-to-be-missed items we wanted to see. We spent a good bit of time in the Mihtohseenionki (The People's Place) Gallery with artifacts, photos and interactive displays of work by, and spotlighting the culture of, the indigenous peoples of the United States, plus more galleries showcasing Native American artifacts like pottery, basketry, woodcarvings, beadwork and clothing. We discovered the Art-o-Mat machine (an art vending machine created from a vintage repurposed cigarette machine) on the museum's second floor. The first time I saw one of these was at the Chicago Cultural Center, and I found myself equally intrigued by the Art-o-Mat as a local art dispensary at the Eiteljorg. 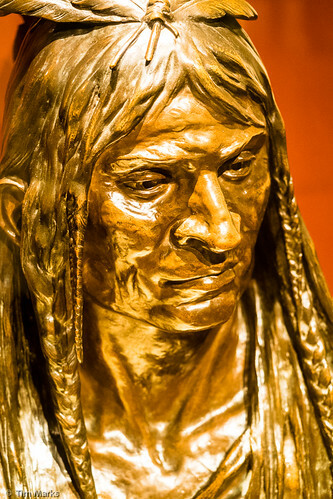 The museum hosts a number of special exhibitions every year, like the show about the various Gold Rushes in the American West and their impact on the Native American populations that was running when we visited earlier this summer. The Museum has also hosted shows about the history of pistols and one about motorcycles (Tim is sorry we missed that one! ), Jewish life in the West, intersecting experiences of African- and Native-Americans, as well as shows spotlighting iconic Western artists and photographers like Georgia O'Keeffe and Ansel Adams. The museum hosts special events like an Indian Market and Festival in June that features the work of more than 150 artists from more than 60 tribes, a Quest for the West that is the museum's big fundraising event in September and Jingle Rails, a holiday wonderland with nearly 1,200 feet of track running G-Scale model trains through more than 30 recreated sites depicting Indianapolis and elsewhere in the country that runs annually from mid-November through mid-January. We also saw parts of a more recent $400,000 facility upgrade designed to attract more foot traffic on the museum's north (canal) side. 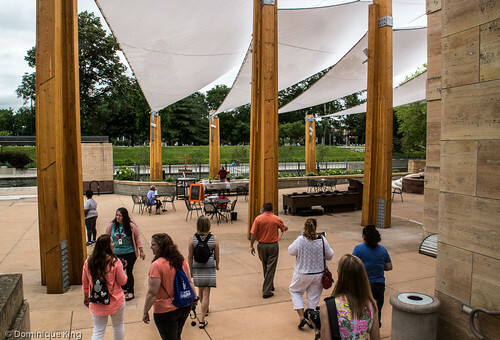 Four new triangular 60 by 30 foot sails hang from structure beams to provide a bit of shade during the hot summer months and make summertime activities on the patio more pleasant. The Museum recently announced receiving a gift from Bud Adams, the late founder of the American Football League and owner of the Tennessee Titans. 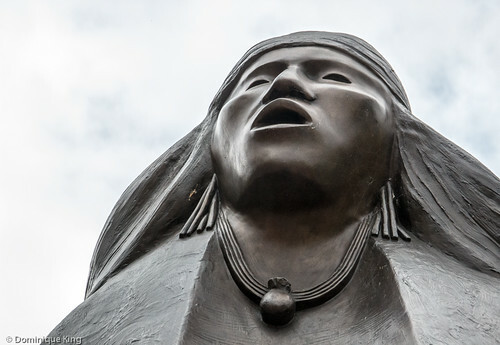 The gift greatly expanded their collection of Western and Native American art and is worth an estimated tens of millions of dollars, adding nearly 100 paintings by famous Western painters and more than 300 Native American artifacts to the collection. The Eiteljorg displayed some of the items in the past, but plans a more extensive showing of the collection for November 2016 through January 2017. You can connect with the Eiteljorg Museum on its Web site, Facebook, Twitter, Pinterest, Instagram and YouTube. 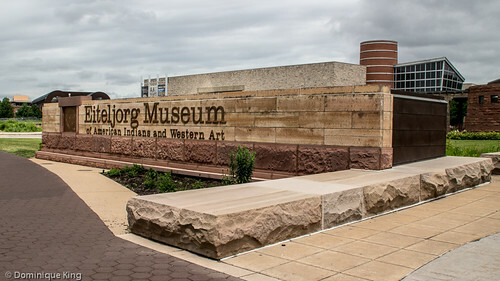 Be sure to check out Visiting Eiteljorg Museum in Indianapolis. 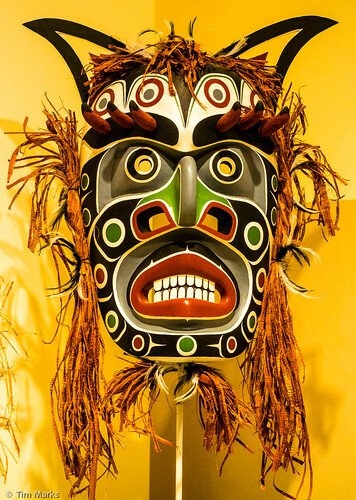 Writer Nicole Wiltrout wrote this story for us several years ago when she lived in Indiana, and this story was one of the reasons I knew about the museum and was so anxious to see it this past summer! Check out Nicole's Arrows Sent Forth blog to see what she and her family are doing now as they currently live as expats while her husband is on assignment in England for a few years. Want to learn a bit more about the Eiteljorg and its art? Check out Paintings of the American West from the Eiteljorg Museum: 24 full-color cards by the Museum's staff and The Eiteljorg Museum of American Indians and Western Art as a Keepsake by Suzanne F. Fox.